A website for students around the world who wish to study abroad. 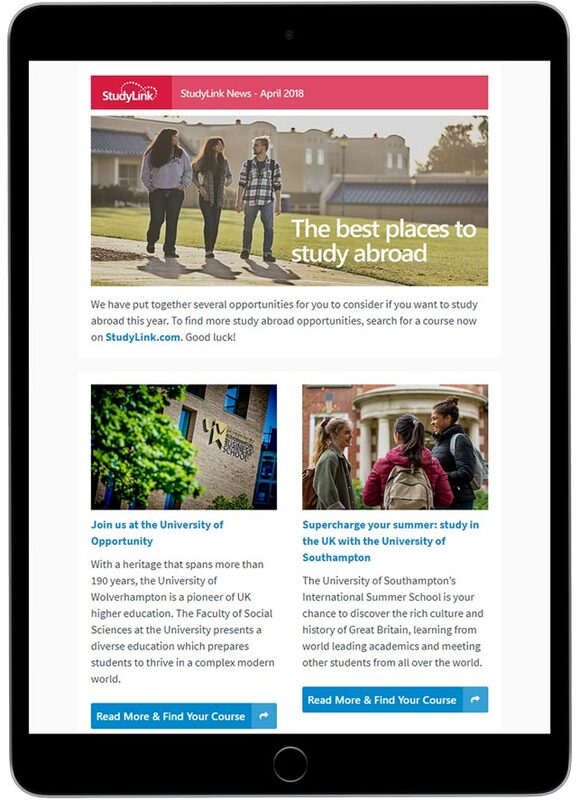 StudyLink.com is an International platform with an audience of over 2 million prospective international students each year making it the perfect addition to your institution’s international student recruitment campaigns. 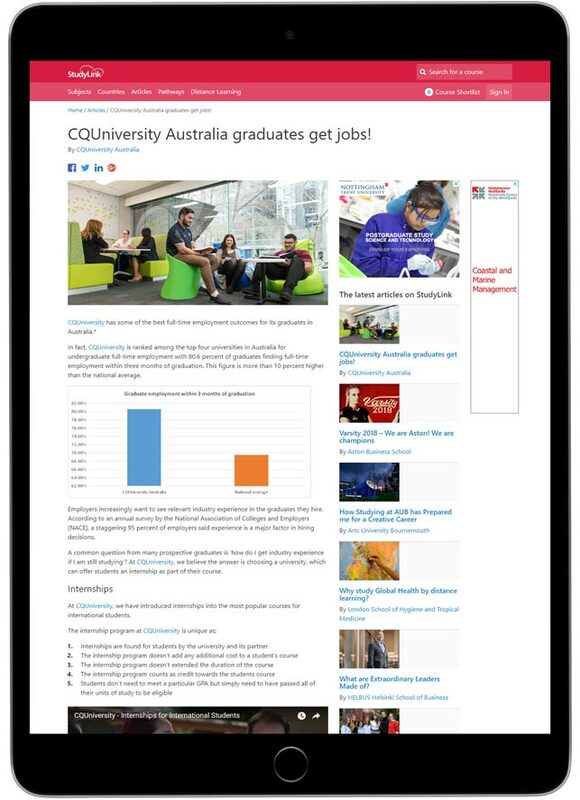 The StudyLink websites were established in 1996 to provide a resource for prospective students looking to study in higher education. StudyLink advertising is available at university, faculty, school and course level. 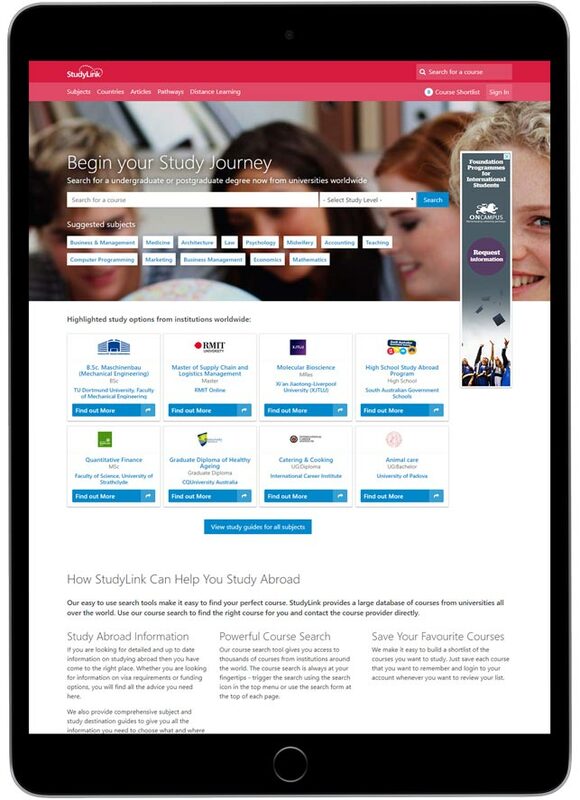 StudyLink.com is tailored specifically for students looking to study overseas, featuring informative study destination and subject guides, course search facilities and hundreds of pages of high quality advice and information on studying abroad. We make it as easy as possible for you to add and manage your advertising content. Courses and profile content are collected and prepared by DEM for you to approve with every StudyLink profile campaign. 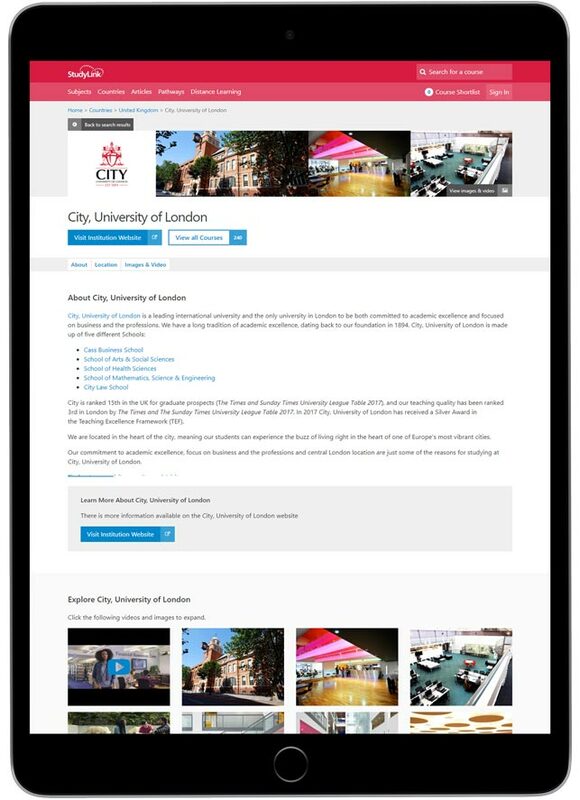 DEM have developed our Editor to allow you to manage your institution profile and course listings online at your convenience. The DEM Editor allows you to save time adding course information with it’s bulk course upload feature – update all of your courses at once by uploading a spreadsheet. Our profiles are tailored to encourage prospective students to navigate to your website, providing a measurable ROI. 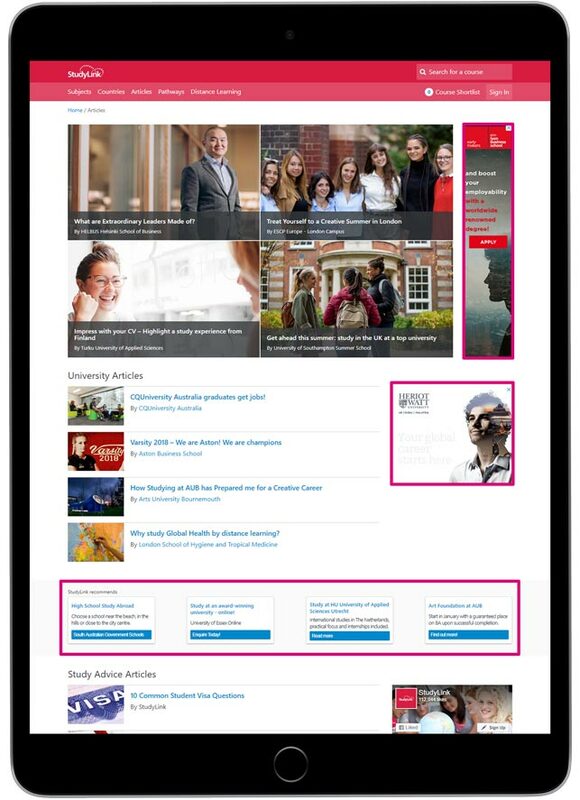 With Course of the Week, Skyscraper and MPU banner positions and text adverts available throughout the site, you can increase the exposure of your institution with our targeted display advertising campaigns. Promote your institution directly to our audience with a direct email. With around 40,000 registered users you can feature on one of our monthly study abroad news or subject guide emails, alternatively you can cherry pick our database by targeting particular countries and/or subjects of interest with your own bespoke email campaign. StudyLink.com hosts one of the most comprehensive and up to date international student blogs. With over 180,000 readers each year it is a great medium for broadcasting your newsworthy and topical messages. Digital Education Marketing recognises the importance and benefit of social media and all blog articles are broadcast across the major social networks, including our 110,000 followers on Facebook.